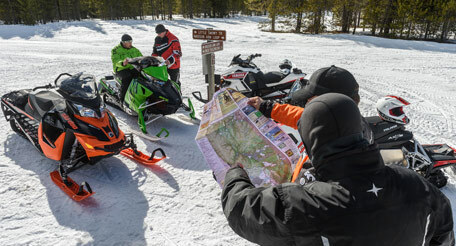 A directory of national and state snowmobile safety education providers. The following national agencies and organizations provide snowmobile safety information or training. Provider of the fee-based www.snowmobilecourse.com, an online snowmobile safety and certification course. Provider of the fee-based Snowmobile-ed.com, an online snowmobile safety and certification course. Offers fee-based corporate snowmobile safety and survival training (based in Oregon). Offers fee-based snowmobile safety training (based in Colorado). The following state agencies and organizations provide snowmobile safety information or training. Arctic Snowmachine Safetyonline education and fee-based Snowmachine School training tailored to arctic travel. North America Outdoor Institute (NAOI)Fee-based snowmobile and avalanche training. Idaho State Parks and Recreation. Idaho Snowmobile Safety Courseonline snowmobile safety training and certification. Illinois Association of Snowmobile Clubs. Illinois Snowmobile Safety Courseonline snowmobile safety training and certification. Illinois Snowmobiling Courseonline snowmobile safety training and certification. Iowa Snowmobile Safety Courseonline snowmobile safety training and certification. Michigan Snowmobile Safety Courseonline snowmobile safety training and certification. Montana Fish, Wildlife and Parks. Montana Snowmobile Safety Courseonline snowmobile safety training and certification. Montana Snowmobiling Courseonline snowmobile safety training and certification. New Hampshire Fish and Game. New Mexico Snowmobile Safety Courseonline snowmobile safety training and certification. New York Snowmobile Safety Study Guideonline study guide. New York State Snowmobile Association. North Dakota Parks and Recreation Department. North Dakota Snowmobile Safety Courseonline snowmobile safety training and certification. South Dakota Game, Fish and Parks. Utah Snowmobile Safety CourseOnline snowmobile safety training and certification. Utah Snowmobiling CourseOnline snowmobile safety training and certification. Vermont Snowmobiling Courseonline snowmobile safety training and certification. Wisconsin Snowmobile Safety Courseonline snowmobile safety training and certification. Wisconsin Snowmobiling Courseonline snowmobile safety training and certification.